Apple hasn't announced what its next step into television will look like, but CBS Corporation CEO Les Moonves has an idea. He met with Apple executive Eddy Cue just last week. Moonves said Wednesday that Apple wants to sell an Internet subscription to a "select group of channels" at a price lower than traditional TV bundles. His remarks, at Re/code's annual Code Conference in southern California, confirm March's news reports about Apple's negotiations with networks like CBS. Related: is this the Apple product that will reinvent television? 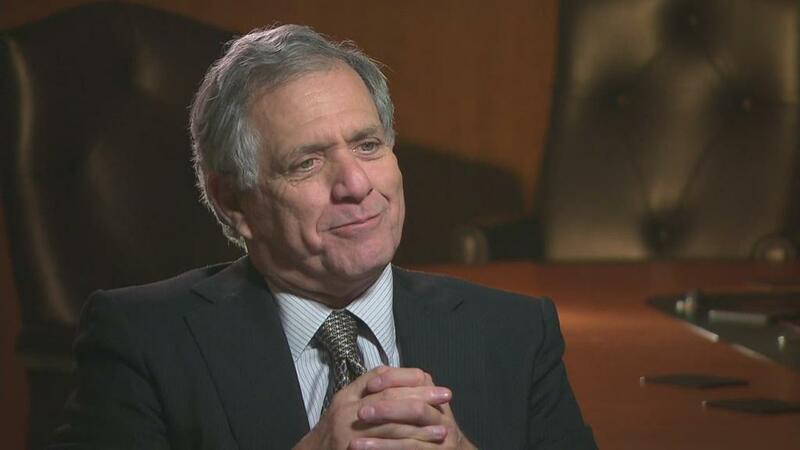 Moonves said CBS would "probably" participate, if -- pardon the CBS game show reference -- the price is right for CBS. By selling a cable-like bundle of channels via the Internet, Apple would join two companies, Dish Network and Sony, that are offering similar services. Other companies are poised to join them. Charter's chief executive Tom Rutledge said Tuesday that Charter might do so after its merger with Time Warner Cable and Bright House Networks. The idea is that the relatively small bundles will be appealing to customers who don't want or can't afford traditional cable hookups. In the industry, these are sometimes called "skinny bundles." Over time, they may imperil the niche cable channels that many people see on their lineups, but rarely if ever watch. So far, Dish and Sony's services haven't received much attention. But Apple has market power like no other player. Cue is the executive in charge of iTunes and the App Store, which give Apple a direct connection to hundreds of millions of customers. The company's Apple TV box has also sold more than 25 million units. "Apple TV is trying to change the universe a little bit," Moonves reportedly said, while mentioning Dish and Sony's products as well. Not surprisingly, he emphasized that any Apple service would need CBS, since it's the most-watched broadcast network. CBS's contracts with its affiliates could be a complicating factor. There are CBS-affiliated stations all across the country; Re/code reported last week that Apple "wants to provide customers in cities around the U.S. with programming from their local broadcast stations," but the contractual challenges are significant. Moonves didn't comment on that particular issue at the conference on Wednesday. During an on-stage interview, Moonves also rebuffed speculation that he might buy control of CBS Corporation from 92-year-old Sumner Redstone. "The board of directors will decide the fate of this company," Moonves said. "I would like to buy CBS. I'm not going to." He also said his company does not want to be reunited with Redstone's other giant media company, Viacom.